Finally one of the most eligible bachelors, Hacken Lee, has walked down the aisle with his loved one, Emily Lo Suk Yee. He was surrounded by his good friends and fellow artistes, Alan Tam, Simon Yam, Vivian Chow and Eric Tsang, who graced the event. 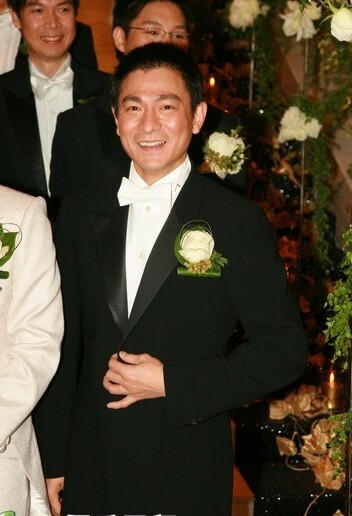 Andy Lau was served as best man for Hacken. “This is our wedding day. Please bless us. 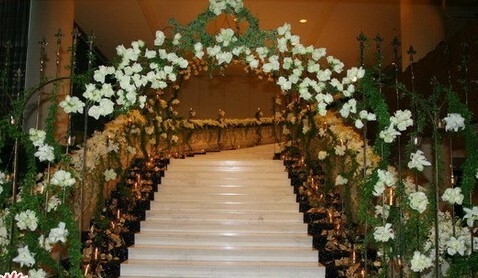 As for our feelings today, they can be adequately described as ‘very happy,'” say by the happy bridegroom, Hacken. This entry was posted on Saturday, December 2nd, 2006 at 10:08 am	and is filed under Interesting Stuff, Wonderful Things. You can leave a response, or trackback from your own site. One Response to "Hong Kong Singer Hacken married the former Miss Hong Kong Emily Lo"
Have you ever attended a wedding reception and felt sorry for the groom because he picked the most significant loser friend to be the best man. It happened to me, we went a very chic wedding reception and the Best Man’s speech was so inadequate that it was frightening that this guy was the groom’s best friend. After they found the best man, he got up to the mic and presented this speech: “This couple, Bill and Monica are great and I hope their life is filled with fulfillment and all those things that make a marriage great.” This is what you get when you don’t plan in advance a speech. When I got married couple of years later I didn’t want my best man to be the topic of discussion for a long time so I sent him this package http://www.bestmanspeech.largestnetwork.com on how to write a best man speech. It relieved the stress and anxiety and his speech was beautiful, hilarious and poignant.